More than any other question, people ask me what lenses they should buy with their new cameras, or to take on their big trips, or to make the move to shooting professionally, etc. Unfortunately, there is no simple answer. Each lens is like an instrument in an orchestra: is has its own character and purpose, and deciding how to use that to your advantage is an important part of the artistic process. However, if flexibility is your goal, and you want just a few lenses to cover as many situations as possible, then I can recommend a kit with a wide to mid-range zoom, a mid-range to telephoto zoom, and a large aperture prime. Below, I’ve listed the best lenses for three different budgets. The Canon 18-55 lens is actually one of the best wide-angle zoom lenses for APS-C that Canon makes, regardless of budget. Although the zoom range is not very ambitious, the resolution is very high, and more importantly, even across the frame. You don’t need to worry about getting soft or smudgy borders with this lens, and the price is very reasonable. The lens does offer image stabilization, so even though it is not especially great in low light normally (with a maximum aperture of f/5.6 at 55mm), the IS allows low light photography where it would otherwise have been impossible. The STM version of this lens focuses quickly and quietly. The Downsides: The build quality is in line with its price, so it may feel a little plasticky and cheap, and the zoom range is pretty modest, so you’ll usually want to pair this with another lens. The maximum aperture at 55mm is pretty small: f/5.6. Again, the 55-250 is optically very good across the zoom range and from the center of the frame to the edge. Together with the 18-55mm, you’ll have everything covered from moderately wide angle (18mm = 28.8mm on APS-C sensor) to long telephoto (250mm = 400mm on APS-C). 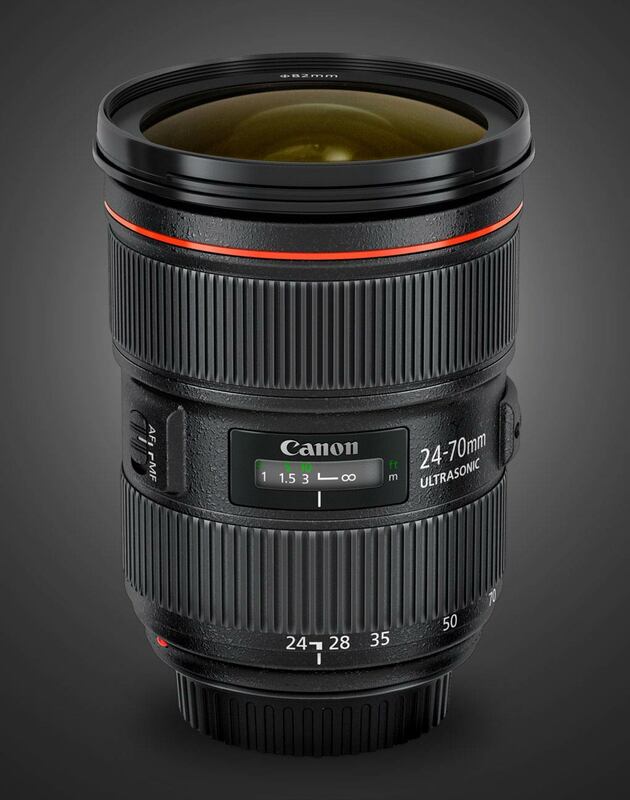 Together the lenses cover more range and with much higher image quality than Canon’s 18-200mm lens. This lens is also image stabilized, which makes it much more versatile than it would be otherwise. Again, the STM version of this lens is faster and quieter (for shooting video) than the older model. The Downsides: Same as the 18-55. Canon’s previous 18-135 was a disappointing lens, but they made the important corrections with the STM version. 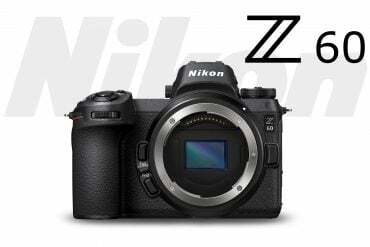 The focusing is now much faster and quieter, but more importantly, the image quality is quite good throughout the zoom range and across the frame. Technically, the image quality won’t be as good as using the combo of the 18-55 & 55-250; with the 18-135 you’ll get a little more distortion at the wide end and slightly lower resolution at telephoto end of the zoom range. However, if you want to carry ONLY ONE LENS around with you, this will probably give you the best combination of flexibility, image quality, and convenience. The Downsides: This lens is a little bit on the expensive side, but not terrible, and the image quality remains slightly lower than using multiple, more specialized lenses. Canon’s 50mm lenses are wonderfully sharp, great in low light, and lightweight. The large maximum aperture of f/1.8 means that you’ll be able to stop action in low light situations, but it will also give you a very shallow depth of field which can be used creatively for portraiture. The new STM model is has fast, quiet focusing, and 7 aperture blades (rather than 5 in the old model) for smoother bokeh. Focuses down to 1.5 feet for good close-ups. Downsides: The image quality of this lens isn’t significantly better than the non-STM model, so it’s a bit soft wide-open, but it’s quite sharp beyond f/2.0. If you feel that you’d prefer to have a 300mm lens in your kit, the Tamron is the way to go. In lab tests, it consistently ranks ahead of the Canon equivalent in optical quality (though not by a huge margin), it has optical stabilization, a fast USD motor (Tamron’s equivalent of a USM), and it costs around $200 less than the Canon. Downsides: Like all lenses in this price range, the maximum apertures are relatively small… only f/4 to f/5.6. You’ll want to move up to an f/2.8 lens for shooting in lower light situations, when you can justify the dramatic jump in price. This is probably the hardest area in which to make recommendations since there are so many choices, and not all of them are as good as they seem at first. Optically, this is probably Canon’s second best in this zoom range; only the new 70-200 f2.8L IS II is better. It is sharper and more consistent than Canon’s original 70-200 f2.8 IS and non-IS versions, and the fact that it is image stabilized means that it will usually give you better low-light performance than using a non-IS f2.8 (the major exception is if you’re shooting action, where IS doesn’t help). Getting a constant f4 maximum aperture throughout the range is extremely helpful, especially at 200mm. Although the lens isn’t cheap, it is very reasonable for a lens of this quality at about $1100. The Drawbacks: The only major drawback of this lens is that is that it doesn’t open all the way to f2.8. This means that when you need faster shutter speeds in low light, you’ll either have to push your ISO up another stop (ie, 400 to 800) , deal with the blur, or miss the shot entirely (assuming that flash isn’t an option). 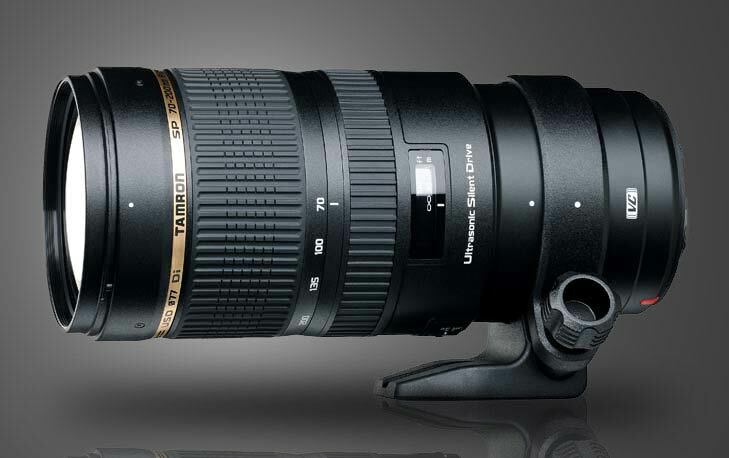 The excellent Tamron SP 70-200 f/2.8 Di VC USD. As sharp as the Canon 70-200 f/2.8 IS II. If you’re looking for a pro-grade lens that you can afford and which has a constant f2.8 maximum aperture throughout the zoom range, the Tamron is a good option for a couple of reasons. First, it’s relatively inexpensive for a stabilized lens at only $1200. Optically, the lens is quite good, and it’s smaller and lighter, and sharper than the Sigma lens of the same specifications. It also is relatively close-focusing, making it great for those times when you don’t quite need a true macro lens, but want a good, tight close-up. The Drawbacks: This is a truly great lens. Its main drawback is its autofocus responsiveness. Once it starts focusing or tracking, it is quite fast… but there is a significant lag between the time you press the shutter button and the time the VC starts working, unlike a genuine Canon lens. Once you get used to it, it’s easy to work around. Every photographer should have at least one large aperture, low light lens in his or her kit. 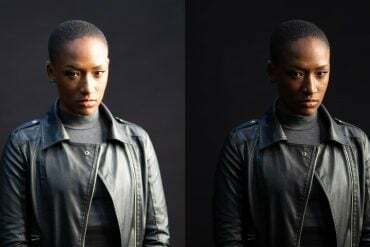 Canon’s 50mm f1.4 and f1.8 are both extremely sharp, and the large apertures are perfect for either very low light, or creative use of selective focus. The f1.4 ($399) is more expensive than the 1.8 (about $110), and you’ll have to judge for yourself whether the advantages are worth it, but the more expensive lens does offer smoother bokeh and 2/3rds of a stop more light. 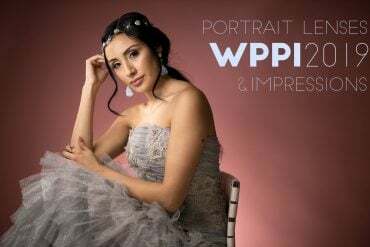 A good portrait lens on APS-C, and a good event and low-light lens all around. Drawbacks: This lens has a reliability problem. If you put much pressure on the focusing barrel, it will bend an internal component and the focusing will get stuck. There’s a way to fix it, and it can be avoided by using a hard lens hood, but the problem should not be ignored. This lens costs several hundred dollars less than the Canon Mark II while also offering image stabilization. Optically, it is quite strong, and the autofocus is quiet and fast. If you’re considering this lens, you might want to watch my video comparison of it and the Canon Mark II. Drawbacks: This lens is not quite as sharp as the Canon between f/2.8 and about f/5.6, but Canon sets the bar very high. This is till a sharp lens. Canon’s 17-55 f2.8 is a great lens, but costs nearly $1200. 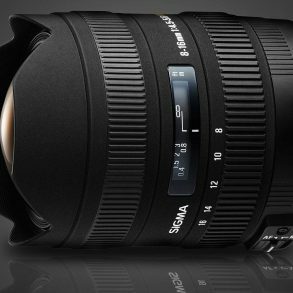 Sigma’s 17-50 f2.8 EX DC OS HSM, offering a similar zoom range, also has extremely good resolution figures, image stabilization, and costs considerably less, at around $670. Unlike the similar lens from Tamron (also a good lens), the Sigma lens features their version of USM, which they call HSM (high speed motor), which is quiet and fast. This lens is a member of Sigma’s professional line, so the build quality is very high, and the lens feels good in the hand. The build is not on par with Canon’s L series, but neither is the Canon 17-55. Drawbacks: At f2.8, the extreme borders (when shooting wide angle) are relatively soft, where the Canon lens is still quite sharp. Once you stop down one stop, though, the borders are virtually identical to Canon’s, and the center may be even slightly sharper. 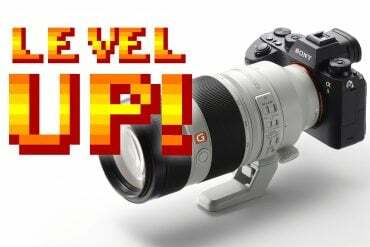 If you’re getting started in your professional photographic career, a student that wants a big leg up, or just someone who wants the best possible image quality in most situations, then these are the lenses to consider. Some of the lenses will cross-over, whether you’re using a full frame sensor or cropped. Not just one of the best zoom lenses I’ve used, this is one of the best lenses I’ve used, period. Razor sharp across the zoom range from edge to center, even wide open. No significant distortion. Fast focusing, great image stabilization. A truly impressive piece of engineering; and much better than the original IS version of this lens. The Downsides: The price on this beauty is not for the faint of heart. The Tamron equivalent is almost as good for $1000 less. This is a truly amazing lens, even with a somewhat limited zoom range. It has the widest aperture of any zoom lens made, and the optics are sharp enough that it can replace a 24mm and 35mm prime, and still go even wider. Drawbacks: The only real downside to this lens is that it’s a bit on the heavy side, and of course, that the zoom range is not quite as wide as some would like, especially for Canon, but these are quibbles for such an amazing lens. As a companion, the 17-55mm doesn’t quite cover all the way to 70mm, but it handles it’s range in an exemplary fashion. Unlike many of the competing lenses, you won’t be hampered by soft edges at the wide end of the range. Obviously, the constant f2.8 aperture will be a joy to those of us who are trying to get a shot in a dark church or theater, or who need to stop action (wind blown grass, waves, children, etc). The Downsides : Again, the price is best handled by those who can claim tax deductions. Here I’ll repeat myself… not just one of the best zoom lenses I’ve used, this is one of the best lenses I’ve used, period. Razor sharp across the zoom range from edge to center, even wide open. No significant distortion. Fast focusing, great image stabilization. A truly impressive piece of engineering; and much better than the original version of this lens (make sure you get the Mark II!). The Downsides: The price on this beauty is not for the faint of heart, but the same can be said for most professional camera equipment, I suppose. 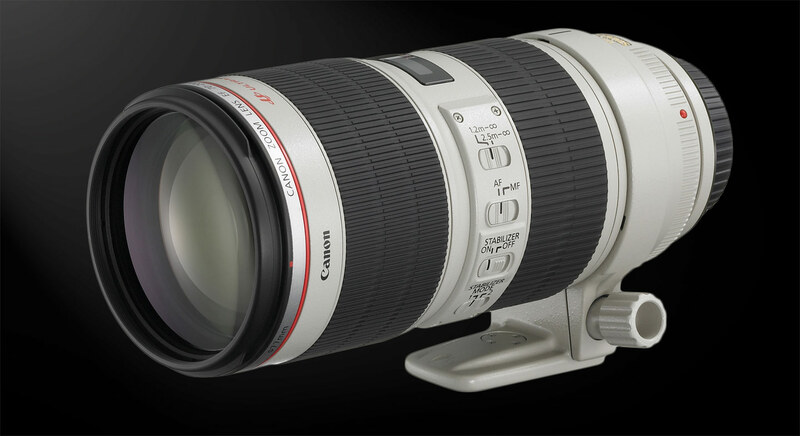 In early 2012, Canon announced their updated EF 24-70 f/2.8L II USM, the companion to the 70-200 f/2.8 IS USM II. As expected, the new lens is amazingly sharp, even wide open. Unfortunately, Canon did not make this a stabilized lens, but IS is less important with shorter focal-length lenses. The Downsides: Again, the price is a sticking point for some, especially when the excellent Tamron 24-70 f/2.8 with image stabilization is available for significantly less. 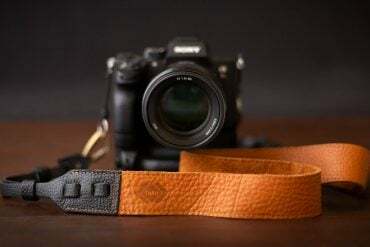 That lens should be considered as an alternative; it is not quite as sharp, but the stabilization may provide some photographers with sharper images more frequently. I have really liked your article and the helpful comments you have made, so I decided I would seek your help as well. I have just started with the DSLR/Video photography with my Canon 80D. 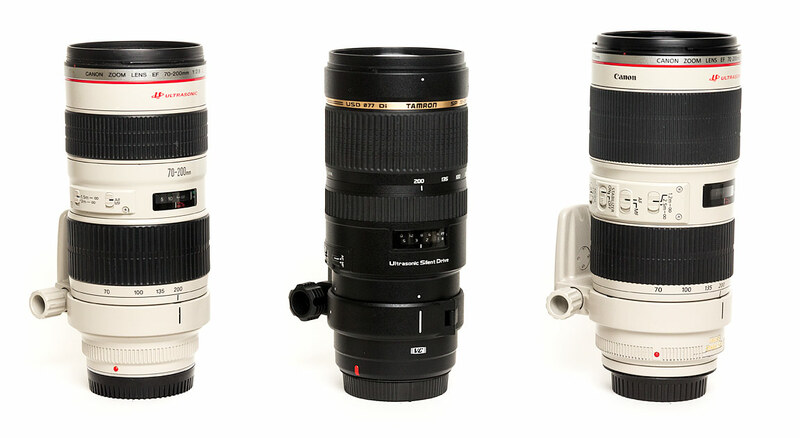 For starters I would like to have one all-around lens, like the kit lens Canon 18-55 STM or the Sigma 17-50. Alternatively, reading through the reviews, perhaps a second hand Canon 18-135mm STM would make sense as well. Bur it has a smaller aperture. Canon 18-55 STM seems like a nice everyday lens, with a fast and silent AF, which is also good for video. The downside is that it has a relatively small aperture. Sigma 17-50 on the other hand has a better aperture and is sharper, but has a loud AF, the sound of which gets picked by the microphone, the IS does not work as well as STM and, worse of all, seems to have quality controls issues, where some of the products are focussing off on different distances (30 mm or so). A second hand Canon EF-S 17-55mm is, as I heard also plagued by troubles, because after some time IS stops working. First, I should say that I’m pretty much strictly a photographer… I don’t do much with video. There are lots of great lenses these days, though. I’m still a fan of the Sigma 17-50. I haven’t seen any AF problems, but here’s the thing: that’s NEVER a problem when you’re shooting video, only stills (which uses an AF module that is off-sensor). With the 80D, you can make some corrections with the AF micro-adjustment settings, but if it’s really a problem, it may be better to return the lens for a better copy. I have to say, though, that this sort of thing is generally user error rather than legitimate lens problems. I’m generally of the opinion that the concerns about the IS on the Canon 17-55 are a bit overblown. The vast majority of lenses are never going to have this problem, and those that do can be repaired or returned. In any case, it’s hard to make a recommendation without knowing what you’ll be shooting. The 18-135 STM (or new USM) would be good options for most things, and the high ISO performance of the 80D is sufficient that you should be OK for most situations, regardless of the smallish aperture. But if you frequently shoot indoors or in the evening, etc, then you should definitely opt for one of the f/2.8s (the Sigma is now pretty cheap, new), or go even further and get a new Sigma 18-35 f/1.8 or 50-100 f/1.8. I would have one more question regarding Sigma 17-50 and its competitor Tamron 17-50. 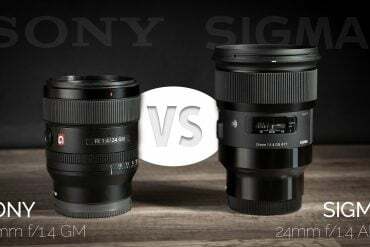 Based on the reviews I have read, Sigma is better than Tamron, however on Amazon Tamron is slightly more expensive than Sigma. Is it because Tamron has less of bad copies? And my third question. What do you think of the following combinations, bearing in mind that from time to time I would also like to do travel videos of nature, cities and people joining me on the travels. Sorry if my questions sound stupid, but I am just starting to learn photography. At 18-50, I’d generally prefer the Sigma, at least for the depth of field control (when it comes to resolution, we’re probably splitting hairs). 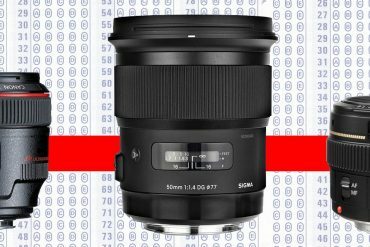 I don’t know the reasoning behind the price difference of the Sigma and Tamron lenses, but I doubt that it has anything to do with failure rates. They’re both good, solid lenses. Of your choices, I’d go with the 18-135 and 50mm STM, for the flexibility of the 18-135, but it’s a really close call between that lens and the 17-50 f/2.8, and would depend heavily on how much you expect to be shooting in low light. Either way, you’ll have a couple of good lenses, which is a great start. Thank you very much Matthew. I really appreciate your help. I am going to spend my holiday in Italy and I am going to buy new DSLR Canon 750D. My friend gave me his old Tamron AF SP 28-75mm f/2,8 XR Di LD (IF) Asp. Macro pro Canon lens. Could you please give me an advice? Should I buy that camera in set with 18-55 STM or 18-135 STM or only a body (old lens from friend will be enough)? The answer here isn’t simple. The Tamron 28-70 f/2.8 is a really great lens for an APS-C sensor like the Canon 750D in terms of image quality; image quality will be good, and you will get more light than you will with either of the Canon zooms. Both good things. Unfortunately, the zoom range of the Tamron isn’t ideal for an APS-C if it’s the only lens you have. At its widest setting, this basically becomes a 45mm lens on the 750D (1.6x crop)… so it’s more like a standard lens. In fact, Tamron sells a 45mm f/1.8 lens as a competitor to Canon’s 50mm f/1.8, and they’re very similar in field of view. So, using the Tamron 28-75 will mean that you won’t have a true wide-angle while you’re traveling, and that would be a hassle. 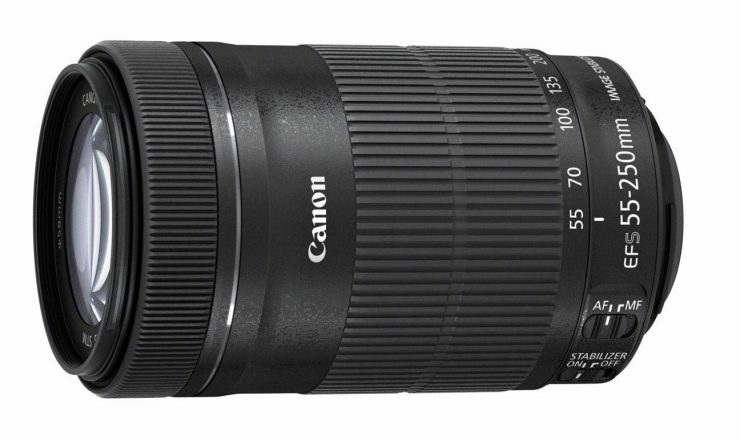 Ideally, I’d recommend getting the Canon body with the 18-135mm lens (if you want zoom range and good image quality) or get the Canon body and a separate Sigma 17-50 f/2.8 OS HSM (if you want good image quality and more light). If you’re like most people and don’t want to carry too much stuff while you’re traveling, I’d lean towards the 18-135. However, if you want to save your money for traveling, which is also understandable, you’ll get good image quality from the Tamron lens… you’ll just have to frame your shots a little differently, and you’ll sometimes have to take a few steps back or stitch a few images together later to get all the shots that you want. I’m about to go on a 10 day trip to Europe. I have the Canon T4i and the following three lenses: 18-135mm IS STM, 75-300mm, and a fixed 40mm. Would you suggest I take all three, just two, or only one? As I’m still relatively new to the DSLR world I don’t know what to pack and thus don’t want to miss having something I should have brought, nor do I want to overpack if I won’t need it. Thank you for your help! That’s always a hard choice. I spent a couple of months in Europe and Morocco last fall, and I carried two lenses: a 24-70 f/4 and a 70-200 f/2.8, and I rarely used the 70-200, but I did use it. I don’t think that I ever wished that I had anything longer than the 200mm. Your 18-135, on your camera, covers an equivalent of 29-216mm, so it effectively covers all but the widest end of what I had. I probably wouldn’t bother with the 75-300. However, everybody has a different shooting style, and if you find that you shoot with your 75-300 a lot, then by all means, take it. The 40mm pancake lens is small enough that it’s probably worth taking if you think there will be circumstances in which you’ll only want to carry the smallest of lenses (or you need to sneak your camera in somewhere :) ). I personally don’t find the 40mm focal length very useful, but you might, so again, that’s up to you. The aperture isn’t a whole lot larger than your 18-135, and since it’s not stabilized, you’ll probably be better off using the zoom in most cases. So, to recap, I’d take the 18-135, skip the 75-300, and the 40mm is a toss up, according to how much you like to use it. Thank you very much for the quick and thorough reply! For my canon t5i, is Better 18-135 stm or nano usm? They’re both great lenses, and the STM performance is perfectly good and fast. The only question is whether you’d want to use the power-zoom features on the Nano USM (you’d need to buy the power-zoom unit, too), which is really more of a video feature than anything else. If so, go for the nano USM. If not, I’d stick with the STM. Great lens. 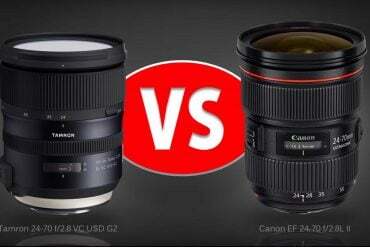 canon 18-135 or canon 18-200 which lens is best???? It depends on the 18-135… there are now three different versions of it. The STM version and the latest USM power-zoom compatible version of it are great lenses, and I would choose either one over an 18-200. The Canon (and Nikon) 18-200 have poor optical quality. 1) I have decided to buy Canon 80D . However, i am little bit confused regarding the lens to buy . Whether i should go for canon f/4-5.6 is stm and canon 10-18 f/4-5.6 is stm or buy a recent 18-135 f/3-5.6 nano usm ? 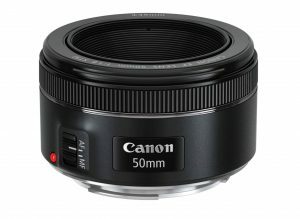 2) whether i should go for canon 50mm f/1.8 stm or 85 mm f/1.8 usm ? I would like to buy Canon 70D for wedding and fashion photography … outdoor / indoor of models .. which lens could you recommend ? 18-135mm or 18-55mm ? Definitely the 18-135, if those are your two main choices… and if that 18-135mm is the STM model (not the older non-STM model). However, what you’ll really want is a lens that has a larger maximum aperture to give you a lot of light and shallow depth of field. A good option would be the Canon 85mm f/1.8 lens, or if you have a bigger budget, the new Tamron 85mm f/1.8 VC, which has image stabilization to help you get sharper shots. Beyond that, there are dozens of great lenses, it’s just a matter of deciding which focal length you like and choosing the best one from there. 1) Did I make a good judgement on the choice of focal length range? I decided on getting around 17-50/18-55 as compared to 24-70 because I considered the crop factor of 1.6x due to the smaller sensor in the 750D. This effectively means I get a good range of about 28-80, which gives some nice opportunities for close-up and wide angle shots. 2) Did I make a good judgement on the f stop? I’m still a little confused regarding this. I know the lower the better (lets in more light), and if I ever buy these photography equipment, I know I’ll use them equally frequently in both day and night. But I’m confused when people start talking about “stepping down” the f stop. If I’m using an f2.8 lens, and I put settings on my camera to f4, what happens? 3) Is the Sigma lens compatible with the 750D? I’m not so worried about whether the Sigma lens will be compatible with other models because I most probably won’t be switching a camera body for quite some years (at least 6-7 years). I think the 17-50 is a good choice. I bought the Sigma 17-50 f/2.8 a few years ago, and I found that I carried it on my camera most of the time (though I was carrying a 70-200 on my 5D III). It’s excellent for day to day shooting, though of course, it doesn’t give you a telephoto perspective. The Canon equivalent is a 17-55 f/2.8, and it’s a slightly better (wide open, but not stopped down) lens but costs about double the price of the Sigma. Yes, having an f/2.8 aperture available makes a big difference. When a lens is designated f/2.8 in the lens name, that only means that f/2.8 is the largest aperture available… not that you have to use f/2.8. So, for example, the Canon 18-55 f/3.5-5.6 means that at 18mm, the largest aperture available is f/3.5 and at 55mm, the largest aperture available is f/5.6. With the Sigma, f/2.8 is available always, no matter what your zoom level is. If you stop down to f/4 or f/5.6 with an f/2.8 lens, then it’s the same as any other f/4 or f/5.6. Any lens set to f/4 will let in the same amount of light… that’s standardized (though there is some minor variation between lenses). 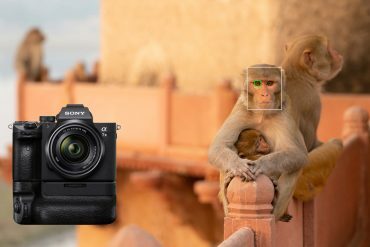 Yes, the Sigma is compatible with the 750D, and all other APS-C Canon cameras (including the 750D/T6i/T6s , 70D and 80D, 7D Mark I and II) but not the 1D, 5D and 6D series. I am having canon eos 700d. I got only 18 to 55mm stm lens. I need to buy tele lens. i am confused that canon 18mm to 250 mm is best or tamron 70mm to 300mm best can you please help me. Which is the best choice. I still don’t recommend any of the 18-200mm lenses (or any lenses with a longer zoom range), including the Sigma 18-250. If you’re thinking about the Canon 55-250 STM or the Tamron 70-300mm, both lenses are quite good. The addition of the STM motor in the Canon lens makes it pretty snappy… much faster than the old model, and good for shooting video. The Tamron will give you a little bit more reach. So, they’re both really good choices. If you think you’ll really use the extra length of the Tamron, go that direction. Otherwise, the Canon 55-250 has great optics and is an all-around good lens. I am the beginner for camera for the past 5 months i am using canon 700D which is pretty good. They given me a 18mm to 55mm basic stm lens. So now i am planning to buy additional lens. I am little bit confused whether i can buy a telephoto lens or prime lens. So may u explain me how it help full for me to use prime lens canon 50mm and will be help full for me to use telelens canon 50-250mm lens. A prime lens, like the Canon 50mm f/1.8 STM, has two primary benefits. First, the “f/1.8” indicates a large aperture which lets in a lot of light (f/2.0 lets in twice as much light as f/2.8. F/2.8 lets in twice as much light as f/4. F/4 lets in twice as much light as f/5.6, etc.) So, it’s good for taking photos when you’re indoors, or in the evening, or in any circumstances when not much light is available. The second benefit is that when using a large aperture, you’ll get shallow depth of field (the subject is in focus and sharp, but the background is very blurry), which is very desirable for portraits. A lens like the 55-250 f/4-5.6 STM will not be as good in low light. Even at f/4, you’ll need 4 times as much light to get the same shutter speeds as you would with the prime, at the same ISO. However, the zoom range of the 55-250 will allow you to get much greater magnification of distant subjects, which is great if you’re taking pictures of something and can’t get as close as you’d like (like performances, sports, etc). 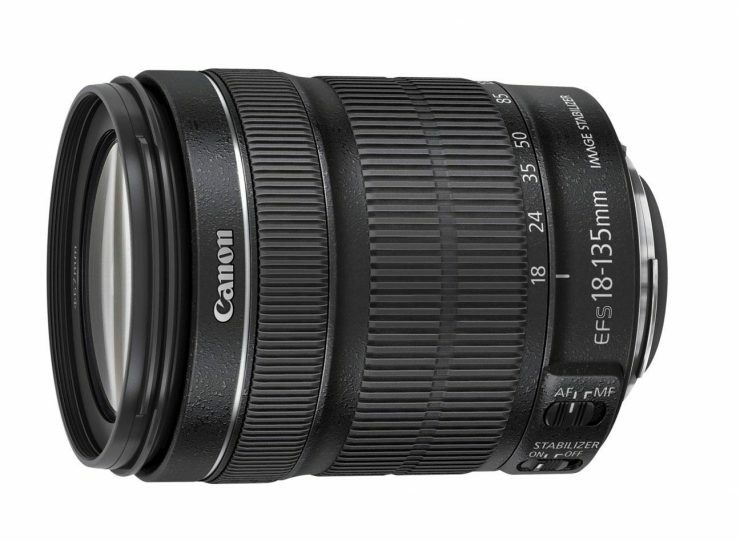 I am confused between canon 18-135 and canon 17-85 lens. Please guide which one should I buy. I need to have sharp pic and background blurred. There are two ways to get a sharp subject and blurred background: 1) use a large aperture (like f/1.4, f/2.8, etc.). Neither of these lenses has a very large maximum aperture, so they’re about the same, there. 2) Use a longer focal length lens (ie, a telephoto). The longer the lens, the more background blur (assuming that your subject is relatively close to the camera). Taking this into consideration, the 18-135mm lens will give you better results, as long as you shoot with it between 90-135mm. That said, a typical portrait lens, like the Canon 85mm f/1.8 will do the job even better, if you shoot it at f/1.8, f/2, or f/2.8. 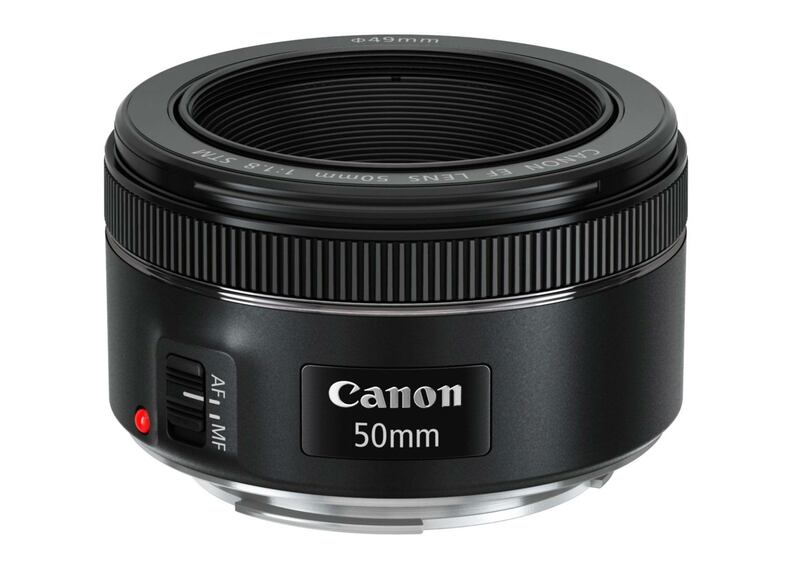 Similarly, the Canon 50mm f/1.8 STM will give you a very blurry background (again, assuming that your subject is relatively close to the camera), and is much cheaper… but it’s not such a traditional portrait lens, if that matters to you. Hello everybody. Could you please tell me if 55-250mm lens is good for film making? Kindly reply as soon as possible. If you get the STM version of the lens, then it will be as good for film making as a lens like this can be. Different lenses can give you different effects; many people like to use large aperture prime lenses for film making to get a more “cinematic” look with the shallow depth of field they provide… lenses like the 50mm f/1.8 STM would be better for that, but each lens has it’s own purpose… it depends on what KIND of film you’re trying to make. Hi, I just came across this article and am thinking if it is worthwhile to upgrade from my Canon powershot G12 to either Canon 750d or 700d – could I get some advice on which would be best? Also would you recommend me to purchase the two lenses kit 18-55mm & the 55-250mm or the 18-135? 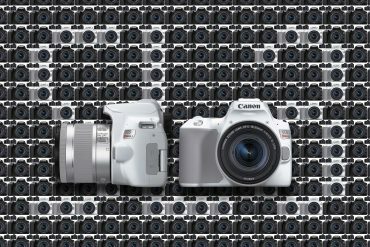 I actually wrote an article about the 750D and the 700D, you might want to take a look at it for a better answer than I can give you here… it’s still a pretty quick read. As for the lenses, it depends on how serious you are about photography and what your needs are. In general, the combination of the two kit lenses will give you a larger zoom range and the image quality will be slightly better where they overlap, but especially in the 55-135mm range), though the image quality of the 18-135 is good enough that it will be a very modest difference… maybe not noticeable without a side-to-side comparison. Most people will find the zoom range of the 18-135mm sufficient for most things, though, and it’s a very convenient lens for every-day use. Convenience is really the key… a lot of the time, you won’t want to carry around two lenses, so it’s nice to have a single lens that can cover a good range. So, really, it’s a matter of whether you care more about the widest range and best image quality, or having good range and quite good image quality in a more convenient package. Thanks. I agree that I’d want to carry around less lenses if possible. Given that argument, how about the Canon EF-S 18-200mm f/3.5-5.6 IS lens instead then? 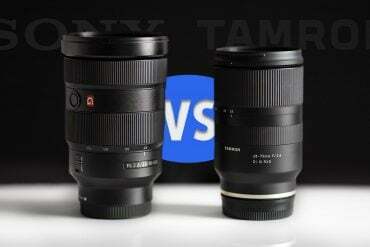 Or the even cheaper Tamron AF 18-200mm f/3.5-6.3 XR or Sigma 18-250mm f3.5-6.3 DC lenses? If I need a lens on my 700D that I will use 99% of the time which one should I buy? No, I don’t recommend any 18-200mm lenses. 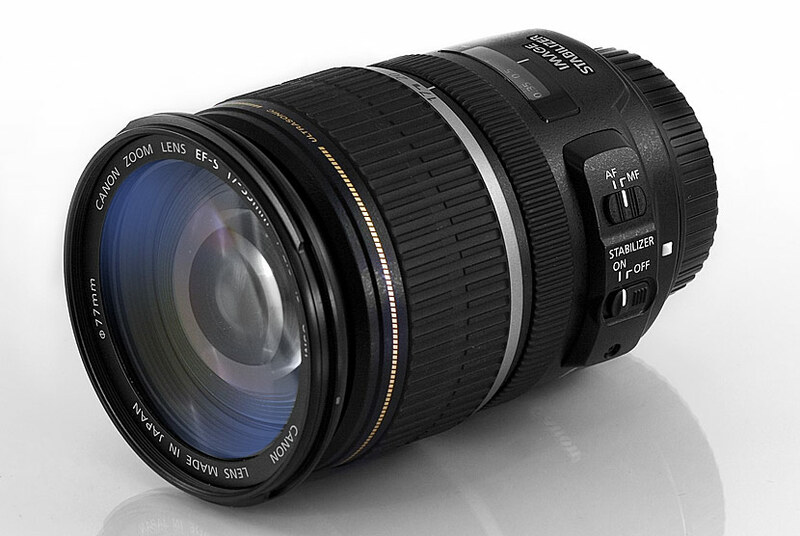 (https://www.lightandmatter.org/2012/lens-recommendations/18-200mm-all-in-one-lenses/) If you need a good, overall lens that you can use most of the time, then I recommend the Canon 18-135mm STM lens. That covers the equivalent of a 28 – 200mm zoom lens, which is still really amazing. I would like to get your suggestion regarding camera lens for my canon 70d. I have sigma 17-50mm f/2.8 ex dc os hsm fld and canon 18-135 stm lenses. I have to sell one of these. Which would be better to keep with me. I use them for both video and photo. Thanks in advance. I hate to say it, but it sounds like you already have access to all of the information that I do if you own both of the lenses, and you have the benefit of knowing how you use them. For my work, I love the sharpness of the Sigma and the constant f/2.8, but I don’t shoot video, and I have a 70-200 f/2.8 that I love to cover the longer ranges, so it would make sense for me to keep the Sigma. For you… I’m afraid I can’t be much help. They’re both great lenses. I just saw this article today. 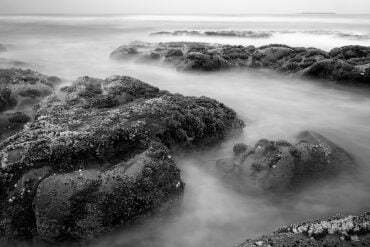 When I bought my 60D three years ago the first lens I got was the EF-S 17-55mm f2.8 USM IS. About a year ago I added my second lens, the EF 70-200 f2.8L IS II. I like nature (bird) photography and the new 400mm DO looks very interesting. I got a chance to use the 600mm in a workshop and decided I am never going to lug around a lens that big no matter the cost or quality. But I think I’m going to delay any new lenses for a while. My next major purchase will be a monitor to attach to my MacBook. Then I’ll spend more time on the back end of workflow instead of the front end. I really liked the information that was given in the low budget lens kit part and I’ve been thinking of what lenses to get (I just got my first camera – canon 70D). Right now I have a working canon zoom lens EF 75-300mm 1:4-5.6 IS and I need something to cover the lower ranges. 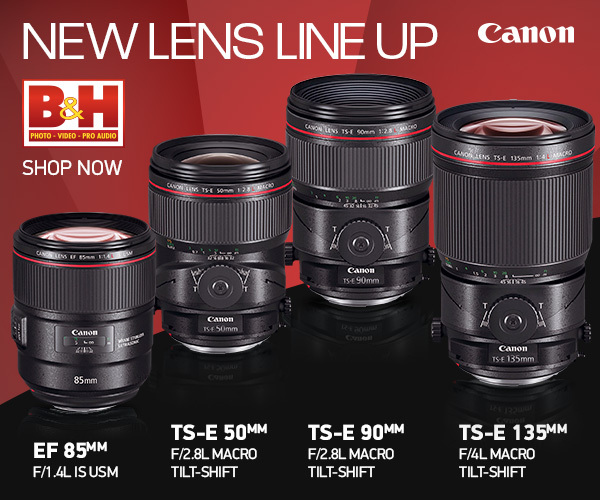 For this I want to get the Canon EF 50mm f1.8 as well as either Canon EF-S 18-55mm IS STM or canon EF-S 17-85mm IS USM. 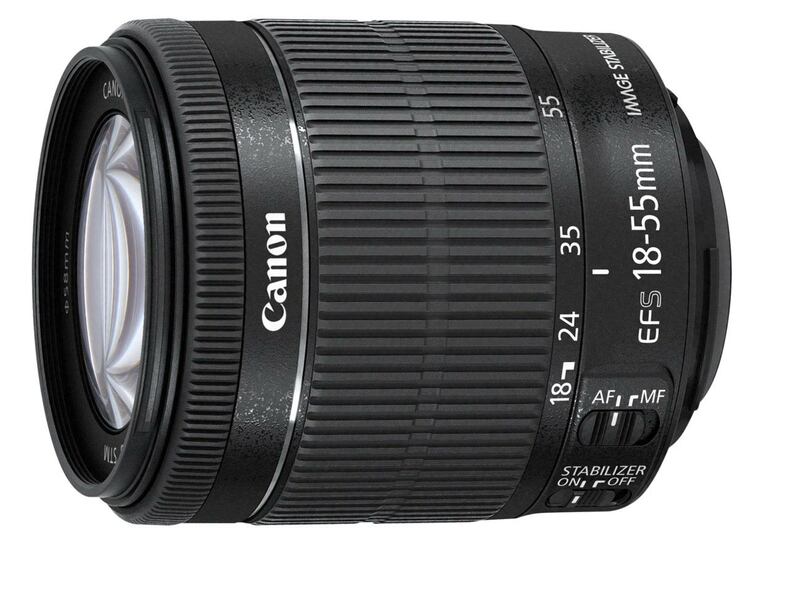 the canon EF-S 17-85mm IS USM is a used lens which I can get for 275$. do you have any recommendation or thought regarding which of the two lenses that I should get? There are a few things to consider here: the zoom range, image quality, and focus performance. It should be obvious that the zoom range of the 17-85 is a little greater than the 18-55, though it’s not a dramatic difference. Unfortunately, that added range comes at the cost of image quality. While the 18-55 is very sharp across the frame and zoom range, the 17-85mm is significantly sharper in the center of the image than it is in the corners, at the wide-angle end of the zoom range. The corner quality is still good, it’s just not great. Since you have a 70D, you should also consider that STM lenses will give you the best video focusing performance. So, I’d be inclined to go with the 18-55 STM, though neither one is a bad choice. Thank you for very helpful written review! Which one would you suggest ! and does EF-S 55-250 IS STM work on canon 550D ! because some people said the STM version is useless on canon 550D. There are a few things to consider. The 70-200 f/4L will give you extremely sharp images… sharper than those you’d get from any of the other lenses in question. However, losing everything below 70mm (112mm APS-C) is pretty significant. So, it really depends on how you shoot. 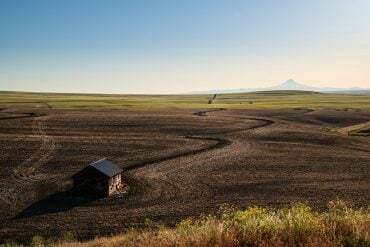 If you never or rarely shoot wide-angle (or even “normal” range) photos, then it’s easy… go with the 70-200. If you heavily shoot wide angles, then consider other options. Ideally, I’d stick with your 18-55 and add the 70-200… save a little longer if necessary. Between the 18-135 and the 2 zooms… the two will give you better image quality (less distortion, higher resolution… though not dramatically), whereas the 18-135 gives you the convenience of having more range in a single lens and faster autofocus (if you buy the STM… and you should NOT buy the non-STM), but at the cost of the telephoto range beyond 135mm. 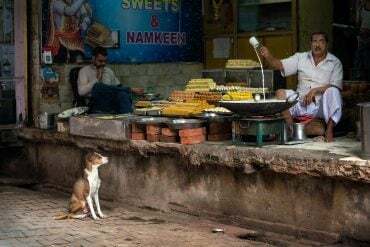 Again, which one is best for you truly depends on what you shoot or want to shoot. There’s no right answer for everyone, I’m afraid! If you get the 70-200mm f/4 IS USM, then you’ll get a slightly more contrasty image… maybe a little sharper, but probably not, since we’re talking about a 2 megapixel image at 1080p. At the 200mm range, you’ll get better subject separation and bokeh with the f/4 lens, too, as well as an extra f-stop of light. If you don’t get the IS model, then the 55-250 will have the stabilization advantage. I really enjoy your articles and comments and would like to ask a question of my own. I have just upgraded from. Canon 400D to the 70D and I have the Canon 17-85 USM lens. Will I get better image quality if I purchase the Canon 18-135 STM? I am going to Vietnam and Cambodia soon but the image quality is more important than the range. Pls I’m confused I wanted to buy canon 50d but I later discovered that it used to have a shooter preblem so I was advised to buy canon 7d or nikon d300s.pls advised me on which one to buy out of the two.in your explanation, pls explain the advantages and disadvantages of the two cameras. Thanks. How about the EF-S 15-85? I am not sure what popped this article to the top, but the upgrade? to the 17 – 85 has been out a while now. Yes, I actually just combined the original 3 articles into a single article (there’s a menu to switch between the three budgets, now), but I’m still updating the content… (didn’t realize everyone would get notified when I changed the publication date!). I’ve read this blog and I thank you for taking time to respond. I’ve just traded in my T2i with the 18-55mm IS lens. I’m getting ready to buy the 60D with another lens this weekend. I was thinking an “all in one” such as the 18-200mm IS canon or 18-270mm Tanrom with Pizio drive VC. However, I read you do not recommend these for loss in quality. You rather go with 2 lenses if possible. I still have a 18-250mm IS canon which I bouth with my T2i. Since you recommend this over the other ones, which lens would you suggest to replace my 18-55mm. I was thinking the 17-50mm f2.8 from tamrom? or 15-85mm from canon? I do mostly kids sport pictures, potraits, and landscapes. Thanks. 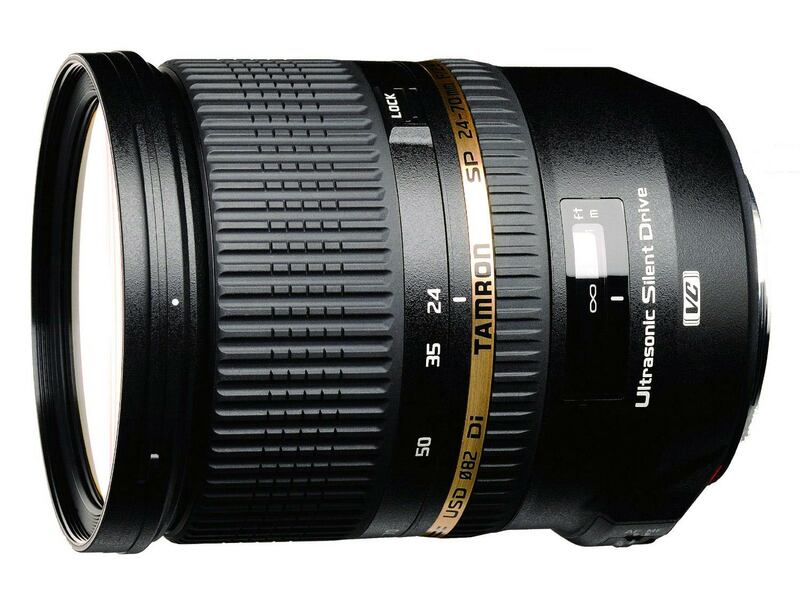 The Tamrons are nice lenses; there are two: a 17-50 f/2.8 without image-stabilization ($450) and one with VC ($650). 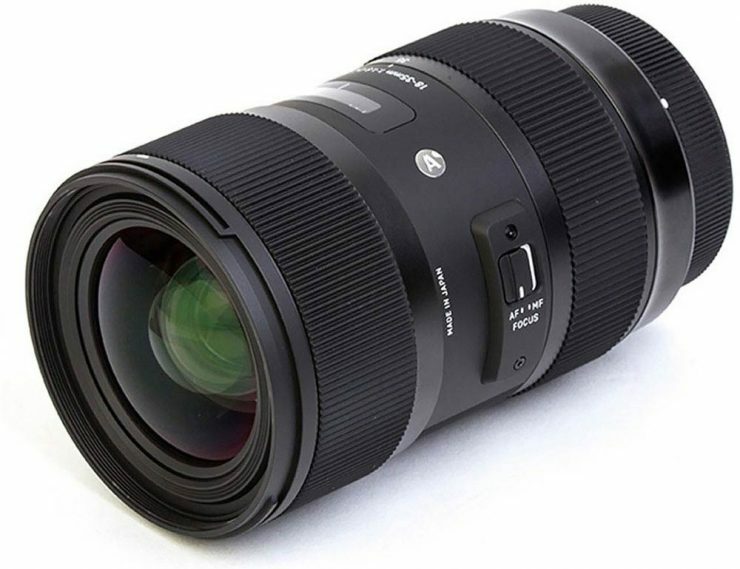 If you’re considering a lens with image stabilization, I actually prefer the Sigma 17-50 f/2.8 OS HSM, which is great lens and just a touch ($20) more expensive than the Tamron, with a little better image quality and a nice build. It matches the image quality of Canon’s 17-55 f2.8 (except maybe at the edges of the frame at f/2.8), for a lot less money. But I suspect that you’d be pretty satisfied with any of the lenses, though if you’re used to the IS on the Canon lens, using the non-IS Tamron might take a little getting used-to. I know a lot of photographers who like the 15-85, but optically, I’m not a big fan, and of course, it’s not as great a low-light lens as the 17-50s. All of that said… there is something to be said for convenience. As much as I hate the 18-200, I had an older Nikon 18-135 that I loved, even though the image quality was less than perfect, it was good enough (better than the Canon equivalent, I’m afraid), and I shot with it a lot because it was so handy to keep on the lens when image quality wasn’t critical. So it’s very important to keep in mind how you want to use a particular lens. If it’s serious quality you’re after, avoid the big zoom ranges, but if you’re looking for something to be versatile in addition to your other lenses, then you still might consider a larger zoom range. Is there an image (quality) difference between EF-S 18-135 vs EF-S 18-200? Any information is appreciated. Sorry for the delayed response… I’ve been traveling in Colorado. Unfortunately, both lenses are pretty poor quality. The 18-135 is slightly better than the 18-200, but of course it has a less ambitious zoom range to match. Nikon’s 18-200 VR is equally bad, though their 18-135 is remarkably good… so it’s not just a matter of physics; Canon just didn’t do a great job with the engineering on these. For a complete picture of the optical behavior of the lenses, you should check some independent lab tests, such as those at Photozone.de . That’s not to say that they’re not worth shooting with… it’s just that they should be judged according to convenience rather than image quality, strictly. I opted for the 17 -85 mmf/4-5.6 IS over the 18-135 mm. I was told they were comparable. I guess the 17-85 is okay, but I feel like it’s “neither here nor there”. I was thinking of trading it in for a different lens but I don’t know which. I have the 18-55 kit lens (non IS) that I am going to trade in with my rebel XT. Also, have the 50mm 1.8 and macro 100mm (non IS). I do mostly macro but want to “expand”. Was thinking of saving for the canon 100mm L IS. I have been looking at someone on flickr who uses a 35mm f 1.8 (nikon) and her stuff looks great to me…any thoughts? Sorry, I’m babbling! The 17-85 is not among my favorite lenses, I’m afraid. If you keep it, you may discover that at the wide end, it has a LOT of distortion, even for lenses in this class, and the borders are very soft… even when you stop down to f8. For my money, these problems are too major for a lens with such a limited zoom range. Optically, the 18-55mm is quite a bit better and cheaper (though it doesn’t have the USM motor, of course). If you stick around on this site long enough, you’ll probably hear me rail against “all in one” type zoom lenses, like the 18-200 (and the 18-135, in Canon’s case). The greater the zoom range that you try to incorporate into a single lens, the harder it is to get good image quality. 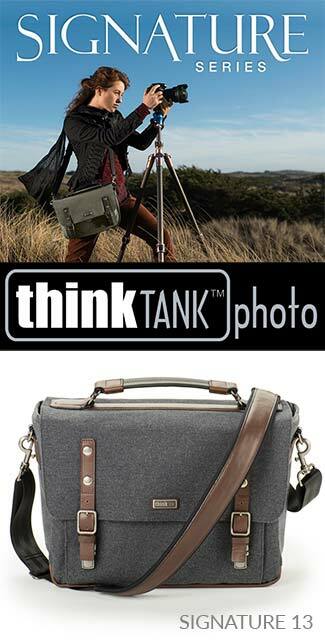 If you don’t expect the best image quality, they’re awesome… very convenient. If you do need great image quality, your only real option is to cover a large zoom range with 2 or more lenses. The 17-85 actually has image quality that’s about on par with the 18-135, which, unfortunately, is not great. Anyway… I guess at this point, the important thing will be to decide which focal length lens you want. If you’re looking for something in the same general range (wide to mid), I actually have been pleasantly surprised with the quality of Sigma’s 17-50 f/2.8, OS HSM . The image quality is quite good, and you get f/2.8 throughout the range. What is it about the images taken with the 35mm f1.8 that you like? Since 35mm is already in the range covered by your current lens, it may be a difference in the depth of field… f1.8 is nearly 3 f-stops larger than the f/4.5 or so that you probably get with your zoom. If it’s not the depth of field, it may be something unrelated to the lens (post processing, composition, etc). Thanks, Matthew for your quick response. RE the images on the 35mm that I like, its definitely the depth of field….so I guess I would want something comparable to that nikon lens in a canon version. You may be familiar with Canon's 35mm f2, which is very similar. 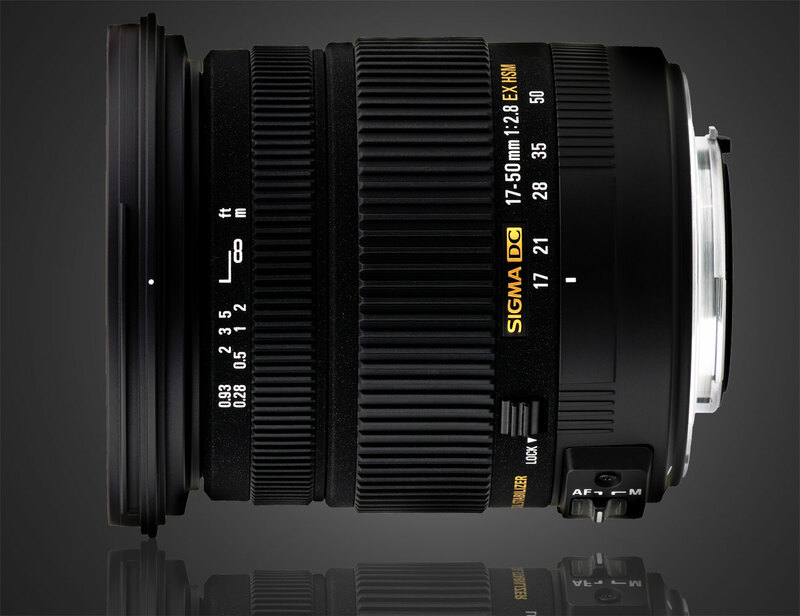 Sigma also makes a 30mm f1.4, a full stop wider than Canon's lens. It's a bit more expensive… but not nearly as expensive as Canon's 35mm f1.4, which costs over $1400. I agree that heavier lenses have a better balance on heavier bodies; though you can always counterbalance a heavy lens with a battery-grip on your camera. I use one on almost all of my cameras, just because they make the body fit my hand better. Thanks, Matthew! I need to go shopping! So are you saying it’s better to purchase the 18-55mm AND 55-250mm lenses as opposed to the 18-135mm or 18-200mm lenses? And im trying to figure out if i should buy the T2i or the 60d because i sort of feel like with the 60d i can still grow into it’s extra features in the long run, since i’m sort of only a beginner at all this. Yes, I’m saying that when it comes to image quality, at least, you’ll get better results with the 18-55 and 55-250 than with the other two lenses that you mention. As a general rule (and with very few exceptions), the longer the zoom range that a lens tries to accommodate, the more compromises it has to make with image quality, especially if it’s trying to include wide angle and telephoto in the same lens. That’s not to say that there aren’t reasons to buy an 18-200; it is obviously more convenient than carrying two lenses, has a USM motor for faster focusing… but the image quality is noticeably worse, especially when you’re enlarging prints. thank you so much for the help!!! here’s my question now…for the same price, i can get the rebel t3i with the 18-55mm & the 55-250mm lenses, or the 60d with the 18-135mm kit lens, so which one do you think i should go with? That’s a tough call; I’d probably consider the third option: buy the 60D body separately (not the kit) and then one of the lenses, and buy the other one later when you have the spare cash. But that’s only if you can think of a good reason that you’d prefer the 60D over the T3i; a lot of people won’t find the differences very significant. You’ve probably read my T3i vs 60D article, so I won’t go though all the pros and cons again :) They’re both great cameras, so it’s hard to go wrong. There isn’t much to separate them when it comes to video, with the exception of the zoom on the t3i, so I give the T3i the edge. Personally, I don’t have much occasion to use a swivel screen, so it’s not very helpful to me. If LCDs were easier to see in bright light, I could imagine using them as an alternative to a right-angle viewer on an old medium format… but I have never ended up doing it. But I’m also a bit of a traditionalist when it comes to my shooting technique; I suspect that someone who is newer to the game might be more comfortable holding the camera in odd positions than I am. I have to say that I was skeptical of the 18-55. I had the original EF-S 18-55 that came with my, now ancient (by digital standards) Digital Rebel and its image quality was very poor. But when I saw a Mark II version of the IS lens on Overstock for $129 (white box) I decided to give it a shot. Let me preface this by saying that this is my first IS lens and my opinion may be tainted by how thrilled I am with image stabilization, but this is really quite a solid traveling lens. Thank you for your advice on this site. By the way, I purchased the 60D (again, based partly on your opinions) and I am quite pleased (my wife is, actually, thrilled and she was the reason we were thinking of getting the t3i). Glad to hear things are working out :) Thanks for coming back with the update! Well, there is the “Mid-Budget” section :) Which lens do you have and which zoom range are you looking at? High quality lenses can really make a difference, but not all equally expensive lenses are equally high quality, unfortunately. OK, I read this article and I also read the Pro-budget (holy smokes!) article. I need to know if there is something in between (given the price difference there could almost be a high and low end midsection). I am new to DSLR’s and just bought a T2i but can afford a better quality and reasonably higher priced lens. I figured the lens is 60% of the quality so I want to spend some cash there as well.